Earlier this year Louis found the Kako Traction Device on clearance at Sierra Trading Post for $7. Based on the positive reviews, he bought two pairs for us to hike in the winter time. Theses traction devices worked great the first time we wore them to hike down from the San Bernardino Peak last January. It provided great traction from the early morning freeze, while our friends slipped down the mountain, we didn’t fall once! Excited to use the traction devices again, we brought them with us to Utah this past week. To our disappointment, both pairs of the traction devices broke during the trip, mine on the first hike and Louis’s on the last day. Louis’s broken Kako ICEtrekkers traction device. Sam’s Kako ICEtrekkers traction devise broke at two places. To our surprise it was the actual diamond grip that was severed instead of the rubber fitting on the exterior of the traction device. 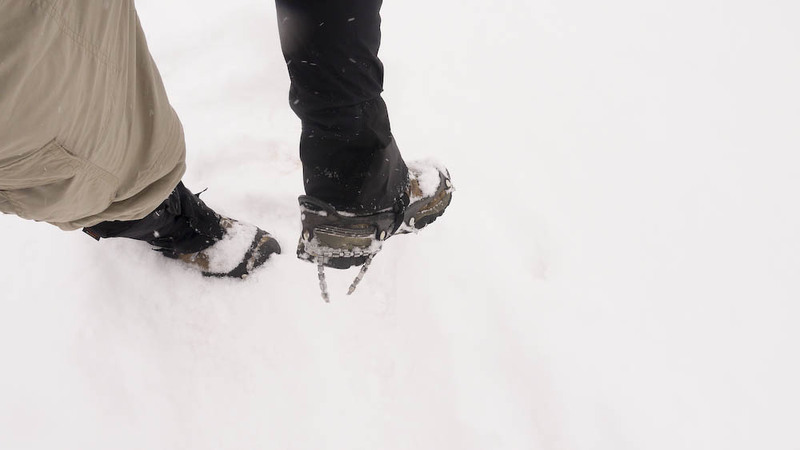 I bought a pair of Yaktrax at Ruby’s Inn to replace my broken Kako ICEtrakkers. These were the only traction device available in Bryce and they are coils instead of the gear traction like the Kako ICEtrakkers. We tested my new Yaktrax out during a snowstorm while hiking the Peek-A-Boo trail at Bryce Canyon National Park during a snow storm. The trail condition had about 6-inches of fresh snow with small icy patches underneath. 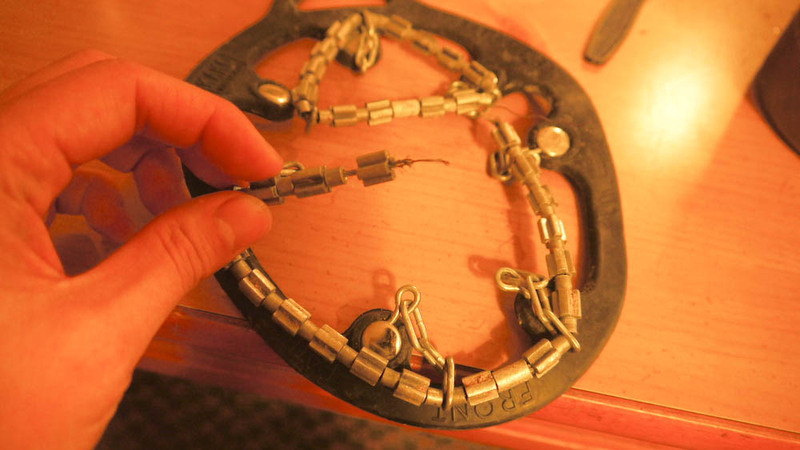 The Yaktrax worked very well, the coils gripped on the thin ice the same way Kako ICEtrakkers did. Compared to the Kako ICEtrakkers, the Yaktrax was much easier to put on my hiking boots (Salomon XA 3D Ultra 2) since the rubber fitting is more flexible. I will put up a separate review on the Yaktrax once I have put some more mileage on the traction device.